Since 2016, Quebec has received a large number of refuge claimants. The different waves of arrivals, particularly from the United States, have raised some logistical questions, including questions about their reception, services, coordination between the different levels (community, municipal, provincial, federal), as well as the daily follow-up of these persons, who are difficult to reach because of their precarious status. For these reasons, the arrival of refugee claimants was a turning point for Quebec. This workshop aims at presenting some observations, issues, and advances that emerged, for instance the management of a massive arrival of people through irregular channels; refugee claimants’ health and wellbeing; the difficulties to get data and make previsions for the spontaneous arrival of refugee claimants in Quebec; and the participation of these people in Quebec society while their claims are being processed. 2. Precarious Realities for Temporary Residents (Refugee Claimants and Migrant Workers) in B.C. In 2017, B.C. saw the number of refugee claimant arrivals almost double from 1,360 to 2,300. As well, B.C. ranked second provincially with 22,196 TFWs employed. This workshop will focus on major challenges faced by refugee claimants and migrant workers, the role that partnerships/collaborations play in the delivery of essential services to temporary residents in B.C., how migrant workers are supported to obtain Open Work Permits, and the introduction of the MWSN (Migrant Worker Support Network) Pilot to shine a spotlight on the protection of migrant workers. Entrepreneurship is a powerful tool to drive economic stability through innovation and job creation. There remain barriers to entrepreneurship particular to immigrants. Government efforts have focused on promoting entrepreneurship to youth and the general population, but there are no resources necessarily appropriate and accessible to immigrants. Requirements like a Canadian credit history for loans can preclude newcomers from starting businesses. This workshop brings new data and critical analyses of experiences of skilled immigrant workers in three Ontario municipalities and two innovative models of newcomer business support, including ‘Business Out of the Box’, which uses shipping containers as low-cost vending spaces. 4. Atlantic Immigration Pilot Project – How Is It Working? The Atlantic Immigration Pilot Project was launched by IRCC in spring 2017. This new and unique project is employer-driven, with some support from service providers. In this workshop, partners from IRCC, provincial governments, and ISANS will review the project to date. We will present the overall goals and design of the project, as well as the roles of the various partners. We will focus our discussion on how the AIPP is working, outlining challenges and opportunities that we have encountered. ISANS offers a variety of programs addressing the pre-employment, employment, and language needs of immigrants. These programs directly address the economic integration of immigrants and influence social and cultural integration. They range from bridging programs for refugees, a vulnerable population, to English in the workplace for the employed. In between, programs vary from ‘on the job’ competency assessment to workplace communications to sector-specific programming for regulated professionals, working with employers and regulatory bodies alike. This presentation will highlight the work we have done with private and public partners, as well as looking at successes, lessons learned, and future possibilities. Migration circumstances and differences in language and cultural practices means that newcomers often experience reduced access to health services, psychosocial stress, and health inequities (Torres et al, 2014). Multicultural Health Workers (MHWs) improve health outcomes for newcomers. However, their role is largely unrecognized and under-resourced. In June 2018, a peer-learning national gathering of MHWs was convened to strengthen the network of MHWs across the country and encourage the sharing of knowledge, experiences, and resources. Findings from this first of its kind gathering in Canada indicate a readiness for action and defined next steps for MHW collective action to gain recognition for their work. This workshop will offer innovative ideas to engage individuals and families in their journey of integration through an intercultural lens. Speakers from around the country will share successful programs and best practices with a holistic approach. This workshop will shine light on the improvements and challenges of the Francophone community partners in supporting the development of a plural, diverse and inclusive Francophonie at the local level. During this workshop, participants will have the opportunity to hear governmental, academic and community perspectives. Recently, IRCC has placed an increased focus on measuring the outcomes of settlement programs across the country. In this workshop, Vocisano will discuss why outcome measurement is good for your organization and how its benefits extend beyond accountability to funders. Next, CRIEC will describe its experience with creating an outcome measurement framework. Hamilton will explain how researchers can partner with settlement organizations to systematically investigate their program outcomes. Hire Immigrants Ottawa will discuss how outcome measurement is shaping its work in employer engagement around workplace culture change for immigrants’ employment. Finally, S.U.C.C.E.S.S. will explore various measurement approaches that look at outcomes and indicators, based on vulnerable newcomers’ quality of life, instead of traditional indicators. Workshop attendees will share promising practices in outcome measurement. Mary Kam and Sandra Almeida, S.U.C.C.E.S.S. 3. International Qualifications Recognition (IQR) – Are We Making Any Progress? Many reports have identified the barriers to IQR and proposed recommendations for addressing this complex challenge. This workshop will invite discussion on how to assess the impact of complex social change initiatives, and will confront the question of whether we’re making progress in improving processes and facilitating licensure and workforce integration of immigrants in regulated occupations. A presentation on the integrated multi-stakeholder approach to IQR, in place in Nova Scotia, will explore impact by examining quantitative & qualitative indicators of progress. A presentation on the recent comprehensive NCA program review will outline the resulting recommendations and assess progress towards implementation. Surrey is home to the largest newcomer population in British Columbia, including over 52% of all refugees who arrive to the Province. The need for specialized and enhanced support services for vulnerable newcomers in Surrey has enabled the establishment of innovative approaches to providing health care accessibility, navigation, and education for newcomers facing complex health issues, and capacity building for health care professionals on how to provide culturally safe care for refugees that acknowledges the refugee experience. Through innovative partnerships that are driving system changes, settlement service providing organizations in Surrey are enabling the health and wellness of its newest community members. Vulnerable Immigrant Population Program: Foundation of Holistic Support and Health Care Brokerage in B.C. Since 2007, CIIP has offered pre-arrival orientation and needs assessment services to over 46,000 economic immigrants and their dependants to support their social and economic integration in Canada. CIIP services include specific and targeted referrals to organizations across Canada, based on client needs, intended occupations, and city of destination. In 2018, in collaboration with long time partner, ICTC, CIIP began offering a streamlined occupation pathway for immigrants in the IT sector. The results of this pilot project which include a case management approach, sector specific job readiness assessment, Labour Market Information (LMI) counselling, and employers needs, will be presented and discussed. Join us for a conversation about innovative approaches to support highly skilled newcomers in the labour market. Learn about two pan-Canadian evidence-based initiatives—the Foreign Credential Recognition Loans Pilot, tested in nine sites, and First Canadian Work Experience Pilot, implemented in six sites. Hear about the cross-sector partnerships with government, service providers, employers, and researchers involved in these initiatives. Together we will explore selected “big questions” that will help elevate the conversation about innovative and multi-stakeholder strategies for connecting newcomers to employment. Come to this session ready to connect, deepen your knowledge, and share your experiences and insights in these areas. This art-based workshop will showcase an ICA Photo-Story Project that was part of Canada’s 150 year celebrations. As a way to capture a fuller expression of Canadian identity, ICA created space for newcomers to articulate what it means to belong and to be Canadian. ICA heard 100+ stories about the struggles and joys of settling and integrating into a new country, of which 26 were translated into a touring Photo-Story Exhibit and Book. These stories will be the jumping off point for world café discussions about what influences our sense of belonging, and deeper conversation about our ever evolving Canadian identity. Labour needs, population decline and aging in some regions have pushed the Ministry of Immigration, Diversity and Inclusion, Quebec (MIDI) to reflect on the importance of regional strategies. This topic relates to al least three sets of issues: The immigration plan of people arriving in Quebec (choice, motivations, qualifications, needs, trajectories, life projects); the potential of secondary migration (from the metropolitan region of Montreal to regions with labour shortages); and the needs of Quebec society (reception and integration capacity, labour needs, demographics, skills in demand, attractiveness of the regions). This workshop will focus on the implementation by the MIDI of a pilot project on welcoming communities, in partnership with the City of Victoriaville, as well as on various initiatives implemented in recent years to promote sustainable settlement in the regions. This workshop, organized by the Centre for Immigration Policy Evaluation at Concordia University, includes four presentations that compare how issues of diversity and immigration affect social and political dynamics in Quebec and in the rest of Canada. The first presentation compares the motivations of Quebecers and other Canadians for restricting the display of religious symbols. The second presentation compares how Quebecers and other Canadians define the boundaries of who belongs to the nation. The third presentation compares how the strength of national identity among Quebecers and other Canadians relates to views about immigration. The fourth presentation examines Quebec’s new immigration policy and compares it with other approaches in Canada. The purpose of this bilingual panel is to discuss the role of some “silent” private actors, such as placement agencies and settlement community organizations, in the immigration and integration processes in Quebec and Canada. Placement and recruitment agencies and private market employers have a growing role in shaping immigrants’ trajectories in the labor market. In the same way, community organizations have been delegated a bigger role in accompanying recent immigrants during the first steps of their settlement. In both cases, private actors seem to gain more power in shaping immigrants’ experiences and trajectories in Quebec and Canada than governmental instances. The Private Refugee Sponsorship Program is a Canadian initiative established in 1978. Since its establishment, over 200,000 refugees have been supported. In this workshop, the Canadian model of private refugee sponsorship will be discussed as well as one innovative case study, the Ryerson University Lifeline Syria Challenge (RULSC) that was launched in July 2015. RULSC breaks new ground in private refugee resettlement by developing a new university-driven approach to refugee integration. Assessment and recognition of international qualifications and skills is critical to addressing labour shortages and will soon be an international obligation. In 2018, UN member states are expected to implement a Global Compact on Migration which, among other objectives, commits governments to facilitate recognition of skills, qualifications, and competencies, and to ensure migrants are employed in decent work. This requires collaboration and innovation from all manner of partners in Canada and abroad. Panelists will present approaches to assess and encourage wider recognition of international qualifications and skills of immigrants and refugees; creating opportunities for local economies to harness immigrant talent. 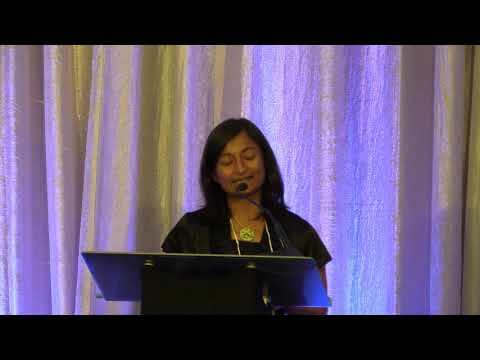 Sangeeta Subramanian, Immigrant Employment Council of B.C. This workshop showcases how municipalities are working with various community partners and internally across departments to build welcoming communities. Municipalities and not for profit organizations are working proactively to create the magnets and glue required to grow our immigrant populations. This workshop will profile various municipal efforts to work with community partners, postsecondary institutions, and internationally-trained professionals (New Horizons Media) to attract and retain immigrants. The session explores three innovative program models designed to meet the needs of newcomers facing barriers attaching to the Canadian labour market. Developed and evaluated at diverse sites across Canada (B.C., Ontario, and Manitoba), the programs feature innovative components such as a Pay for Success incentive structure, intensive employer engagement, and Essential Skills training aligned with job requirements that lead to success for diverse groups of newcomers, including those who are jobless and less-skilled, as well as university educated immigrants seeking skills-commensurate employment. Questions and considerations for future implementation of these models will be the focus of the discussion. With unprecedented numbers of displaced people since the Second World War, and urban centres becoming “minority majority cities,” media coverage and right-wing anti-immigration political parties are emerging in many parts of the Western world. To counteract and prevent the negative consequences this may have on local social fabric, many communities have started implementing strategies to foster welcoming attitudes and behaviours towards newcomers. The focus has shifted to looking at “hospitality” and elements that may make newcomers’ efforts to find a place in their new environment more successful. This panel will explore different community, academic, and citizen initiatives that tackle what a hospitable city might look like. Organizations do not exist in a vacuum; they are influenced by societal discourses. Muslims in Canada have generally been represented in some sections of the media as well as in rhetoric by some politicians as the “terrorist Other.” Their culture has often been dismissed as “barbaric” and “anti-Canadian.” These frames have unwittingly resulted in individual Muslims in organizations facing discrimination and hostility. This workshop discusses the findings of research examining societal discourses on Muslims, and their implications for organizations and individual Muslim Canadians. In striving to build a community where all can belong and grow, and helping immigrants settle in Nova Scotia, Immigrant Services Association of Nova Scotia (ISANS) is building an organizational empowerment framework. This framework shapes our approach to organizational leadership, engagement, and service to clients, colleagues, and the community. Colleagues from Ontario and Manitoba will share their approaches to empowering immigrants and we will discuss key priorities and challenges in our attempts. Ottawa Newcomer Health Centre (ONHC) was implemented out of a partnership between Somerset West Community Health Centre and Catholic Centre for Immigrants. ONHC provides a welcoming space and a one-stop shop for newcomers by offering services for physical and mental health and well-being through a lens that is focused on social determinants of health and trauma informed care. Diana Jeffries will present her work on trauma-informed practices for practitioners working with immigrants and refugees. Developed through IRCC funding, Diana has developed curricula and workshops addressing the issues of learning in safe spaces through the PIRS programs, which are designed for inclusive classroom practices, and addressing issues such as trauma and other barriers to learning. Technologies play a vital role in newcomer settlement. This workshop examines the role of new technologies and innovation various topics: how new technologies connect newcomers to employment, uses of new technologies for private sponsorship of refugees, how new technologies are being used to assist Syrian refugees in their settlement in Canada, the Cultural Access Pass and the role of arts and culture participation for Canada’s newest citizens, and the We Speak Translate Project. Through these topics participants will learn about the value of innovation and technology in aiding newcomer settlement. Presenters in this workshop are directly engaged with the projects. Presenters will share how different partnership approaches enhance initiatives that support immigrant economic integration in Metro Vancouver. Using a wide array of community engagement strategies, presenters will share examples of successful initiatives that leveraged partnerships in its implementation and delivery, and the outcomes and benefits to immigrant economic integration. From specialized programs that support highly vulnerable newcomers to leveraging private partnerships, this workshop will look at the unique ways not-for-profit organizations can engage community support in the planning and delivery of programs that support immigrant labour market integration. create opportunities to listen to refugees’ stories and perspectives. While the majority of research on immigration tends to focus on major urban areas, there is a growing demand for scholarship that focuses on immigration to rural areas. This is especially important given the role that immigration can play in addressing rural demographic issues such as outmigration as well as declining and aging populations. The goal of this panel then is to highlight key initiatives and research that is designed to facilitate the inclusion and integration of newcomers while promoting and supporting their retention in rural, remote, and northern areas of the country.